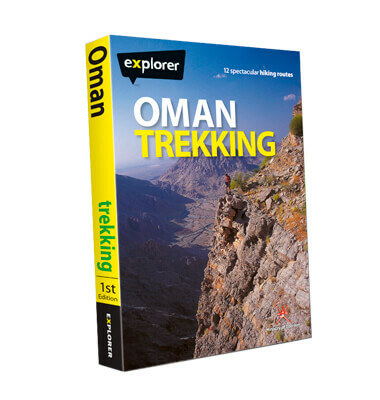 These unique trekking cards, complete with helpful guide, detail the most breathtaking hiking routes in northern Oman. A must for seasoned professionals and novice hikers alike, the guide pack contains information on 12 hikes in the Western and Eastern Hajar Mountains, and Muscat, with easy-to-read directions, safety advice and useful tips. The pack includes a detailed area map, trekking guide, 11 route cards and a directory of hotels and hospitals.